The Full-Featured Inspection and Multimode Verification Kits are for contractors and network technicians who install and maintain multimode premises networks. 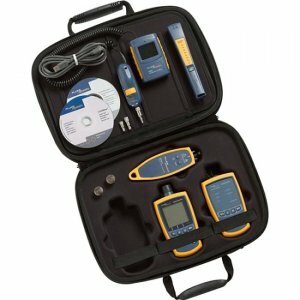 Use these kits to verify optical loss and power levels at 850 and 1300 nm, inspect fiber end-faces, locate cable faults, connector problems, and polarity issues. Kit combinations offer a variety of inspection options.